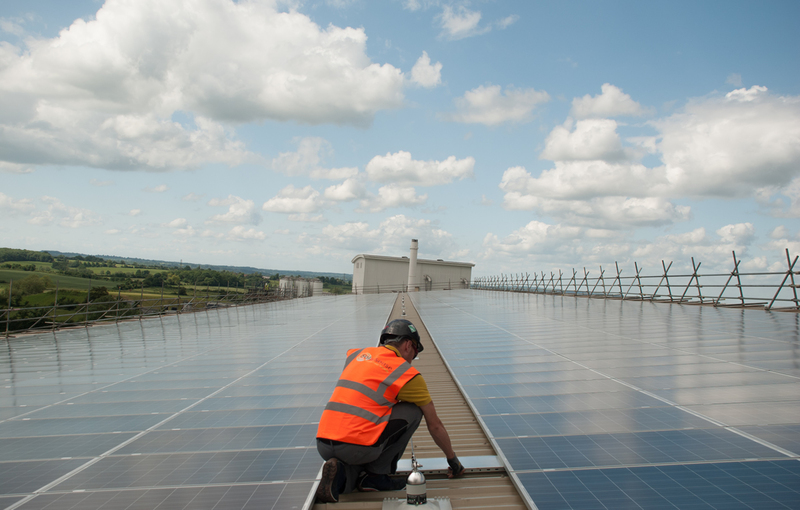 The STA is to meet with financial secretary to the Treasury Jane Ellison today to discuss the issue, with the association hoping to convince the government that commercial solar rooftops should not be penalised in such a fashion. After coming to light last summer, the proposed increase in business rates – which could see systems designed for self-consumption hit by eight-fold increases in taxes – has created considerable uncertainty in the rooftop market. Although chancellor Philip Hammond could prevent the increase via legislation – and next month’s spring Budget would provide ample opportunity to do so – the increase still stands to come into effect from 1 April 2017. Leonie Greene, head of external affairs at the STA, told Solar Power Portal that the trade body would be using the discussion to put across the position the UK solar industry finds itself in following the raft of cuts enacted over the past 18 months. Central to the discussions will be the business rates issue set against the backdrop of current energy policy, the anti-competitive nature of the taxes and how sites designed for self-consumption over export are to be penalised. “The case we have is very strong - we're confident of that. We know other departments are on our side so this comes down, yet again, to the Treasury & its willingness to look objectively at the facts. From an economic perspective solar is a no-brainer; we estimate parking this tax hike & very modest reforms to FITs will unlock a billion of extra investment in solar rooftops this parliament,” Greene added. Opposition to to the business rates increase on solar is widespread throughout the political landscape, with London's deputy mayor for environment and energy Shirley Rodrigues this week adding her voice to the calls to amend the plans. Speaking at the Energy Storage and Connected Systems conference, she said the government needed to "stop changing the tax system to disadvantage renewables and low carbon energy generation", using the busiuness rates issue as the latest example. The STA's meeting coincides with the delivery of a letter to the Treasury signed by schoolchildren from Eleanor Palmer Primary in Camden pleading for the increase to be scrapped. The school installed solar on its roof last year after raising £19,500. Supermarket giant Sainsbury's is continuing to support the fight against the new rates having been one of more than 160 organisations to address the chancellor last year. Meanwhile a petition launched by Greenpeace calling on chancellor Philip Hammond and PM Theresa May to abort the increase has neared 150,000 signatures. People interested in signing the petition can do so here.